Assistant site manager Bill Iseminger at the Cahokia Mounds State Historic Site's Interpretive Center. Parkgoers walk alongside Monks Mound at the Cahokia Mounds State Historic Site in Collinsville on Monday afternoon. 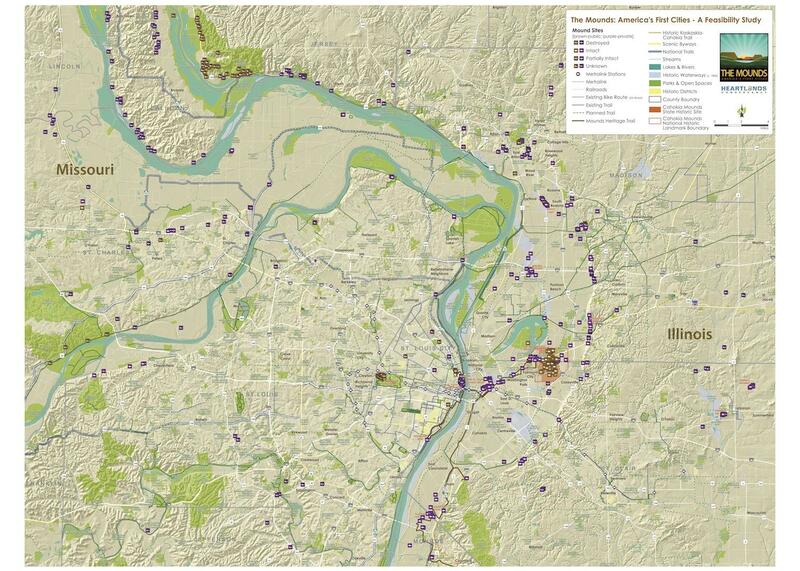 A HeartLands Conservancy project study has mapped more than 500 Mississippian mounds in the bi-state area. 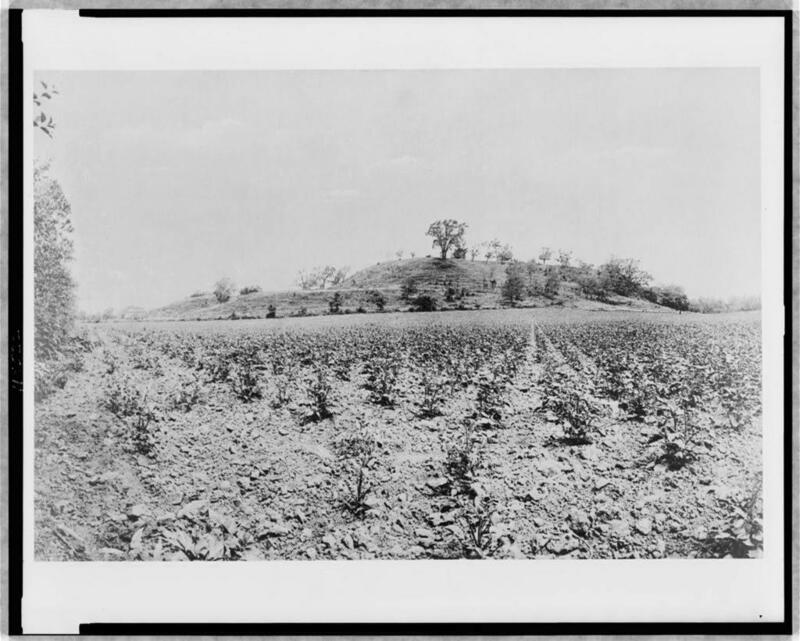 A photo of Monks Mound from 1907. The park contains about 80 mounds, some of which can be seen from the top of Monks Mound. 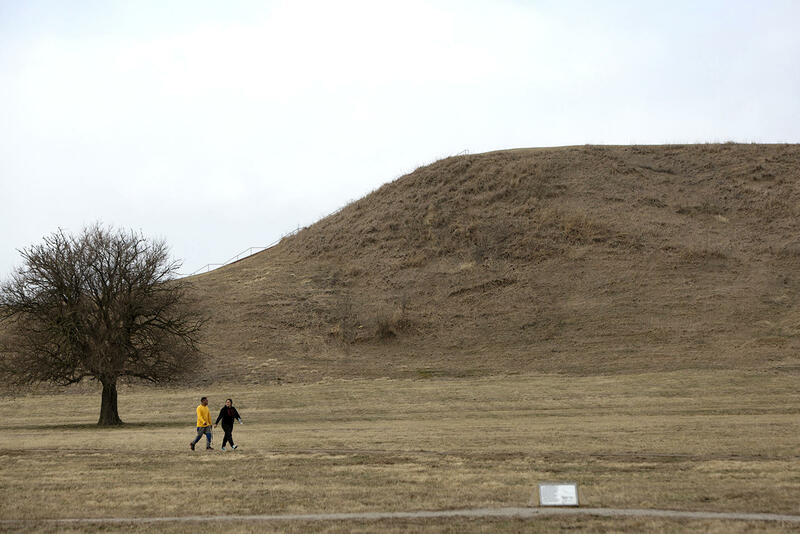 What would a National Park Service designation mean for Cahokia Mounds? On a warm spring afternoon, Italian archaeology students from the University of Bologna were painstakingly sifting through mud from a pit they’re excavating at Cahokia Mounds State Historic Site in Collinsville. Heading the group is Imma Valese, 29, who’s been coming to Cahokia Mounds for six years. She has written her master’s thesis on the ancient Mississippian culture that thrived at Cahokia 1,000 years ago. Now, she’s working on her doctorate. When it comes to ancient civilizations, St. Louisans can find one in their own hometown. Centuries ago, a well-established society left wonders, most notability, the Cahokia Mounds. On Monday’s St. Louis on the Air, host Don Marsh talked with author Mark Leach, a Native American mound preservationist. Leach’s latest book, "The Great Pyramids of St. Louis: An Ancient Metropolis” details the history of the mounds and the culture of the Native American population.